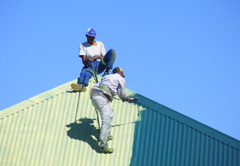 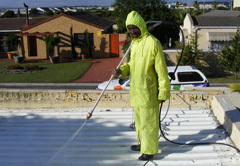 RENU Painting & Waterproofing uses the latest airless spray guns and manual block-brush methods to coat roofs. 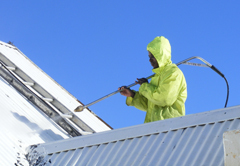 Prior to painting, all surfaces are hydro blasted with high pressure cleaners, to ensure correct preparation procedures are followed. 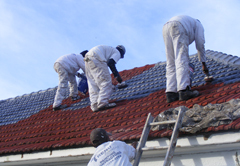 Before painting commences, repairs and specifically waterproofing problems are attended to, using different waterproofing products, to suit the specific problem.